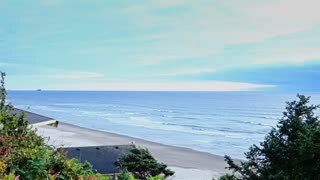 Search Results for "Portland Oregon"
A morning establishing shot of Canon Beach near Portland, Oregon. Portland Oregon White Stag Sign Night Close. Originally installed in 1940, the sign was changed to "Portland Oregon" in 2010 and is among the most recognizable landmarks in Portland and all of Oregon. PORTLAND, OREGON, on Dec 20th: Hawthorne Bridge on Dec 20th, 2016 in Portland, Oregon, USA. Portland is a seaport and the largest city in the US state of Oregon. PORTLAND, OREGON, on Dec 20th: Hawthorne Bridge in Portland on Dec 20th, 2016. 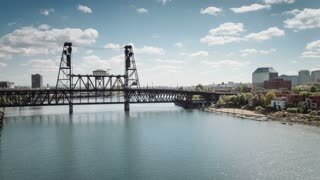 Hawthorne bridge spans the Willamette river in Portland, Oregon. PORTLAND, OREGON, on Dec 20th: Hawthorne Bridge and Hawthorne Boulevard in Portland on Dec 20th, 2016. Hawthorne bridge spans the Willamette river in Portland, Oregon. 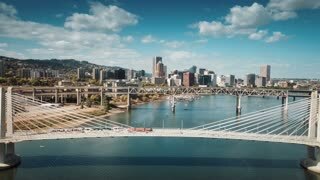 Portland, Oregon circa-2017, Daytime aerial shot of downtown Portland, Oregon buildings and bridges. Shot with Cineflex and RED Epic-W Helium. 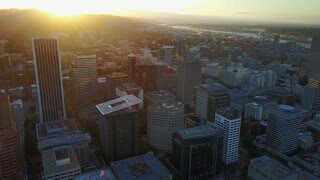 Portland, Oregon circa-2017, Daytime aerial shot of downtown Portland, Oregon and Union Station. Shot with Cineflex and RED Epic-W Helium. Portland Oregon Intersection. Burnside Street and NW Trinity in downtown Portland, Oregon. Portland, Oregon circa-2017, Aerial shot of Portland Oregon buildings. Shot with Cineflex and RED Epic-W Helium. Portland Oregon Panning Shot. Panning shot of Portland, Oregon as seen from a high elevation, the Pittock Mansion grounds in the west hills. Portland Oregon Wide. Portland, Oregon as seen from a high elevation, the Pittock Mansion grounds in the west hills. Portland Oregon Burnside Northwest. Burnside Street hilly area in Portland, Oregon. Providence Park Portland Oregon. Providence Park, a outdoor sports venue in the Goose Hollow neighborhood of Portland, Oregon. Portland, Oregon circa-2017, Aerial shot of freeway intersection in Portland, Oregon. Shot with Cineflex and RED Epic-W Helium. Morrison Bridge Willamette River Portland Oregon. The Morrison Bridge over Willamette River in Portland, Oregon. A bascule bridge opened in 1958. PORTLAND, OREGON, on Dec 20th: Portland steamboat in Portland on Dec 20th, 2016. Portland is a sternwheeler steamboat built in 1947 for the Port of Portland. PORTLAND, OREGON, on Dec 20th: Traffic in downtown Portland on Dec 20th, 2016. Portland is a seaport and the largest city in the US state of Oregon. PORTLAND, OREGON, on Dec 20th: Time lapse of traffic on Interstate 5 in Portland on Dec 20th, 2016. Portland is a seaport and the largest city in the US state of Oregon. PORTLAND, OREGON, on Dec 21st: Portland sign on Dec 21st, 2016. The iconic White Stag sign was acquired by the City of Portland in 2010. PORTLAND, OREGON, on Dec 20th: Neon rodeo sign outside Portland Outdoor Store on Dec 20th, 2016. Portland Outdoor store is a Western Outfitters store in business since 1919. PORTLAND, OREGON, on Dec 20th: Buses and pedestrians in downtown Portland on Dec 20th, 2016. TriMet is a public agency that operates mass transit in the Portland metropolitan area. Canada Geese eating grass alongside a park trail running by the Willamette river in Portland, Oregon. The Portland skyline is in the background. PORTLAND, OREGON, on Dec 22nd: Riding on Max Light Rail train in Portland on Dec 22nd, 2016. Max Light Rail serves 97 stations in the Portland metropolitan area. 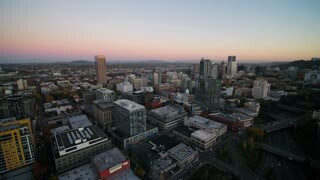 An establishing shot of Portland Oregon includes the Portland Theater. PORTLAND, OREGON, on Dec 22nd: Max Light Rail train doors closing in Portland on Dec 22nd, 2016. Max Light Rail serves 97 stations in the Portland metropolitan area. 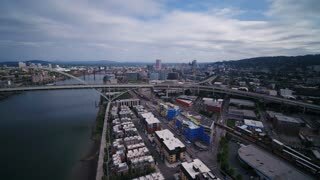 An establishing tilt down shot of downtown Portland, Oregon including the Portland theater. Portland, Oregon circa-2017, Aerial shot of Portland's west hills in Fall. Shot with Cineflex and RED Epic-W Helium. 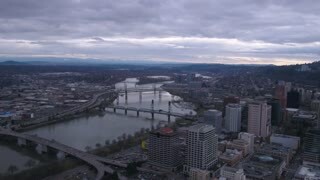 Portland, Oregon circa-2017, Aerial shot of Portland and Willamette River. Shot with Cineflex and RED Epic-W Helium. Portland, Oregon circa-2017, Flying over Portland suburb at night with Mt. Hood in background. Shot with Cineflex and RED Epic-W Helium. Portland, Oregon circa-2017, Aerial shot of Portland from east side looking across Willamette River. Shot with Cineflex and RED Epic-W Helium.